Choose either to use your Google or Microsoft account to sign in. If you haven't logged in to one of the above accounts recently, it will bring to their sign in page. 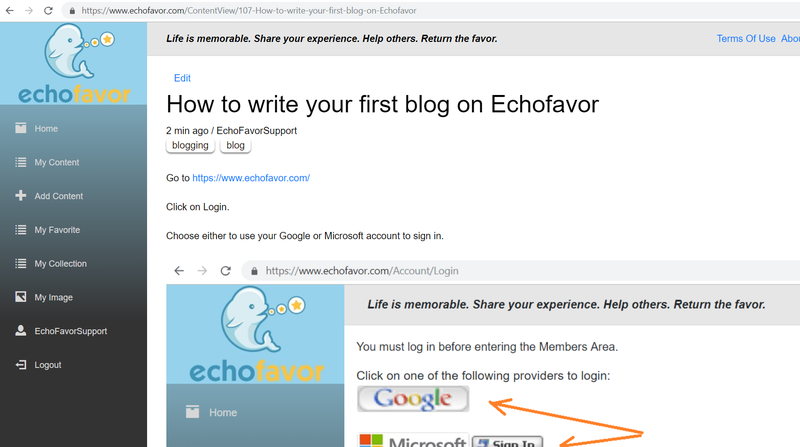 After you signed in and allow Echofavor to have access to your email, then you will be brought back to EchoFavor site. And you should be on the Your Profile screen. Here you can enter your profile such as username. Your username can be discreet or not. It is up to you. The public will see this username under your published public content. Enter any tag that other users can use to search your tagged content. To insert image, click on the button. Next, you need to Upload and Choose your image file that you have saved. Next you can resize the image to say 50% of the screen. Next, you can publish your content either to the Public so that everyone can see this content or Private if you are the only one who can see it. 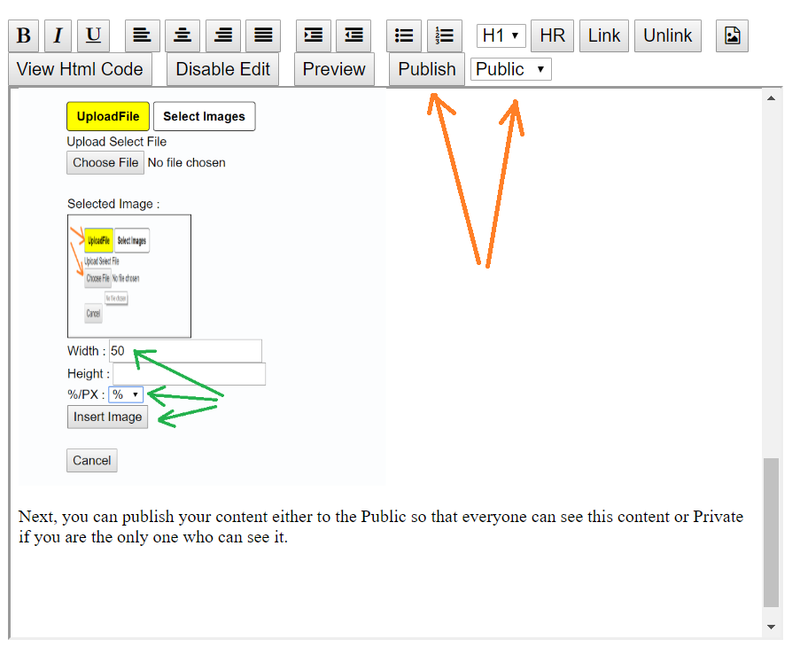 You can also click on Preview button to preview the content before publishing it. Once your content is published, the public content page will appear. And it will be the most likely the first result on the home screen as we show latest blog content. Income School - Project 24 - How to make full time income online blogging and vlogging?